Are you looking to move and exercise more this year to help prevent osteoporotic fractures? We applaud you! Physical activity is important for people with osteoporosis or low bone mass. It can help improve strength and balance, and prevent falls and injuries that lead to osteoporotic fractures. Are you hesitant to get started, because you have osteoporosis, and are worried about fracturing as you move and exercise? It is wise to be cautious. There are certain movements and exercises that are unsafe for people with osteoporosis. But don’t let this caution hinder you completely! Are you keen to learn which movements and exercises are “bone-unsafe”, and which are “bone-healthy”? You’re in the right place. Consider our Good Moves handouts. 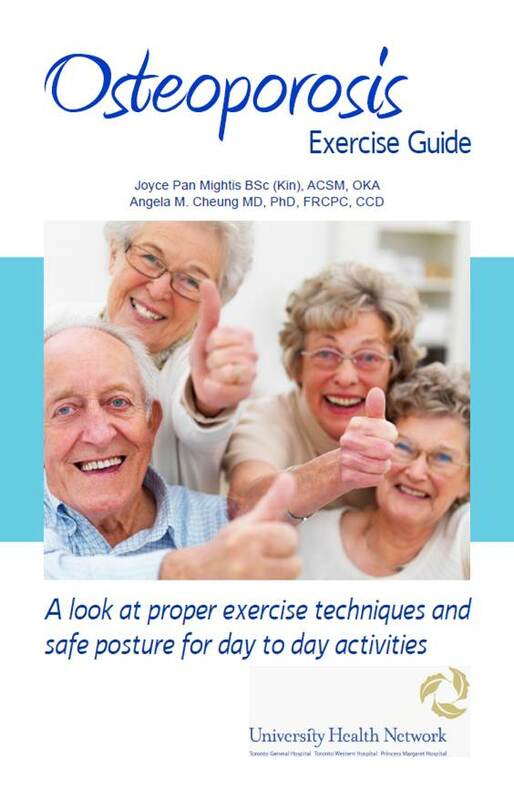 Each Good Moves handout aims to describe one bone-unsafe move (and how it increases risk for osteoporotic fracture) or one bone-healthy exercise (and how it can improve muscle strength or balance). Without further ado, here is our first Good Moves handout. It focuses on a common, bone-unsafe movement: spine rotation or spine twisting. Click on the image below to upload the handout.